Most of the classical management theories were developed in a world that was completely different from today’s environment. This is why we create a model to manage brands on the long run by observing the world’s leading brands, talking to thought leaders and learning from the work with our customers. Our model is called Branding Form Below. Everything started from a very simple observation: a brand is not something that can be planned on paper and immediately executed from an ivory tower. It is something that is deeply rooted into social relationships and social interactions. The brand promise is always delivered through the interaction with other business partners and the perceptions of how a given brand delivers its promise is also the result of social interactions. 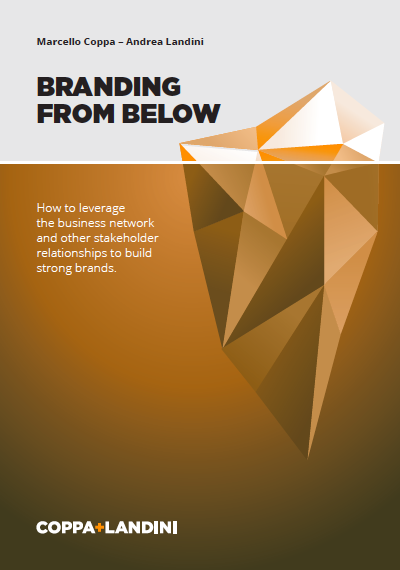 Enjoy our paper on branding from below and please feel free to send us any comment.